This my first vegetarian tattoo. 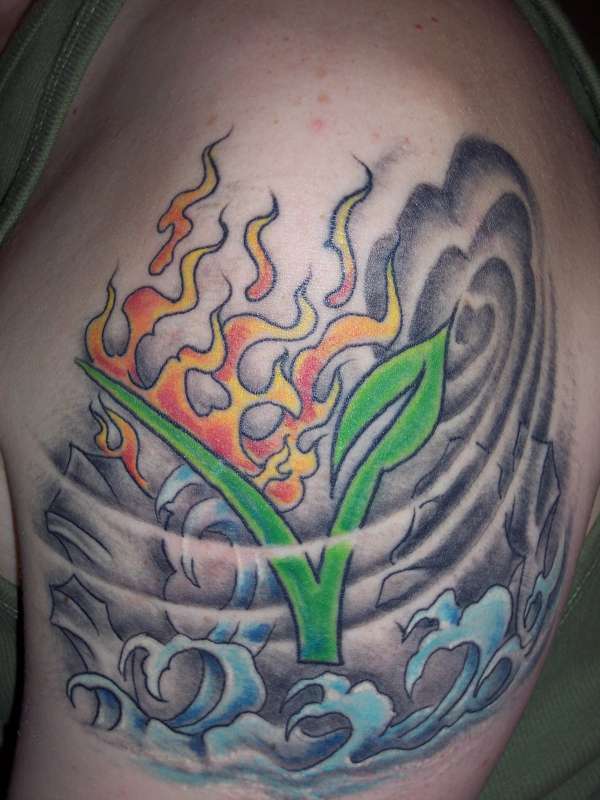 I wanted the "V" with fire, water, wind and earth. Done by Brent Schlemmer at kingltattoo.com. Nice work! Makes me wanna go get a steak! Ha!